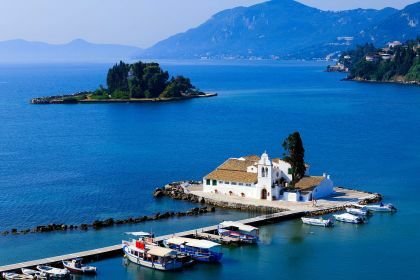 Corfu is reminiscent of a James Bond-style island, with its glamorous nightlife and natural beauty – little wonder “For your eyes only”, the popular 1981 Bond movie, was shot here. Everything about Corfu is heavenly. Its location in the northern part of the Ionian Sea, in close proximity to the Adriatic Sea, makes it a favoured yachting destination. 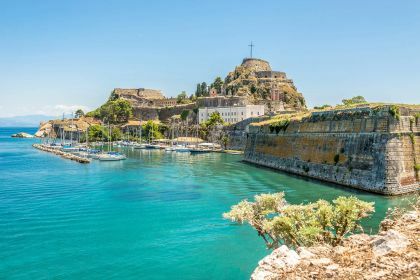 You are guaranteed to love Corfu’s spectacular beaches, imposing Old Fortress and New Fortress, looming over the horizon as you approach the Corfu town on your yacht, and lush vegetation, with its reported two-million olive trees growing on the island. 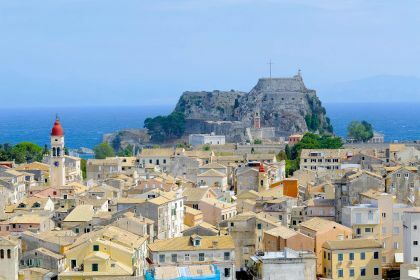 Its architecture is exceptional, with Corfu town making it onto the Unesco World Heritage List – thanks to significant Italian and Venetian influence over the centuries. Corfu is also a very cosmopolitan island, with celebrities and royalty happily living among the locals. 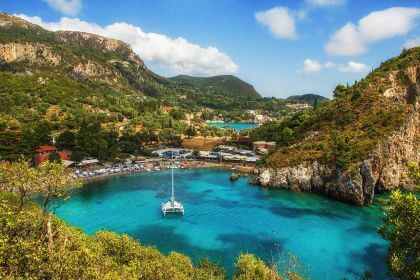 While Corfu is home to about 10,000 British nationals, and is known as “the most British of all Greek islands”, it also attracts a number of other nationalities. More and more Germans, Russians, Scandinavians and others are coming to live in Corfu, beguiled by its natural beauty and vibrancy. It’s also fairly large, so if you need a break from the bustling capital, you can escape to one of the many smaller towns and villages to enjoy some peace and quiet and authentic Greek hospitality. Try Paleokastritsa, some 25 km northwest of the capital or Molos, in the south – both attractive options. Corfu’s scenery is bewitching, with sheltered bays that hide lovely beaches, historical wonders and gastronomical delights. For all these reasons and others you will discover yourself, a sailing or motorboat vacation in Corfu is the prefect way to see it. Get in touch with your friendly Abberley yacht charter broker and our seasoned team will take care of everything you need to turn your next yachting holiday into an idyllic vacation.